July 19th in WordPress Themes by Wordpress Jedi . Selling your own e-books is one of the most common ways to make money online these days. Companies such as Amazon, Apple, and B&N are making it easy for independent authors to get their work in front of millions of people. Authors need to have an online presence for their books too. 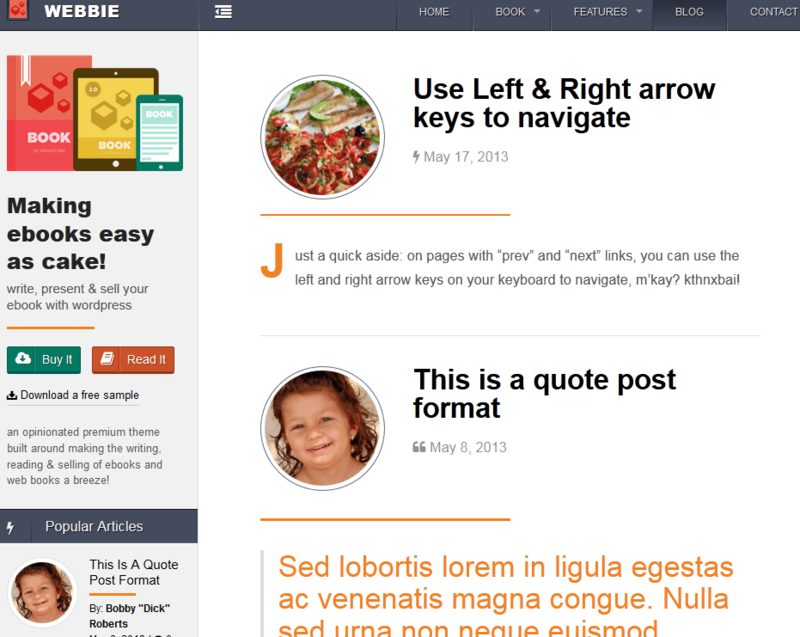 Webbie for WordPress is a beautiful theme with everything you need to promote your e-books like a pro. Webbie has a simple but elegant design. It is responsive and will work fine on small and large displays. Authors will be able to post sample chapters, manage reviews, and give their visitors an idea what their books are all about using custom post types. Webmasters can customize the theme from its Options panel. The sidebar is collapsible to offer viewers a distraction-free reading environment. 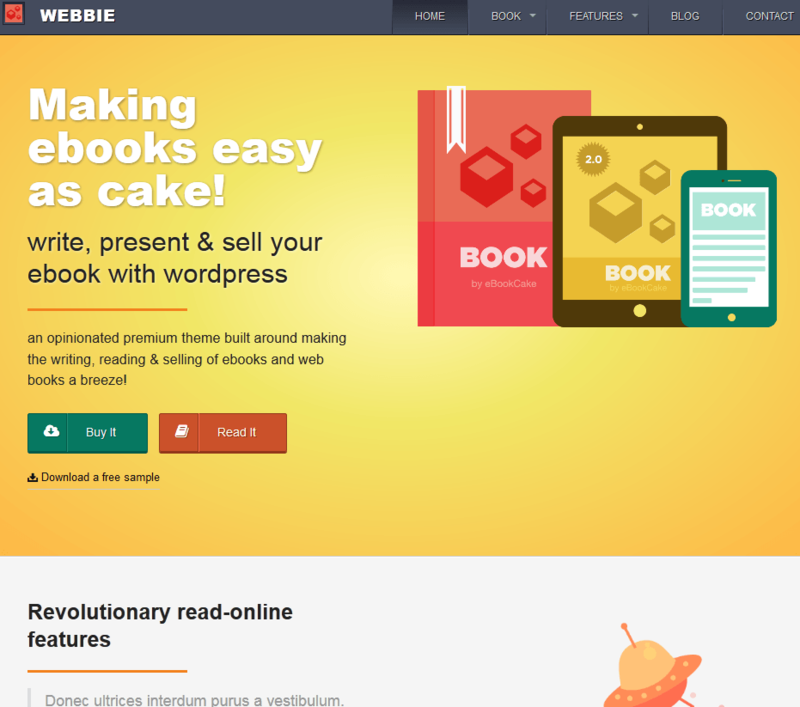 Webbie provides support for Easy Digital Downloads. That means you will be able to sell books on your own website. Add Restrict Content Pro and you will have even more ways to monetize your content. There is a lot to like about Webbie.